Scouting may be the most important part of hunting and one thing that some hunters have neglected doing. It can mean the difference between being successful; getting that trophy deer or big gobbler, you have been after or going home with an unfilled permit. This is the time of year, when there are fewer things related to the outdoors besides gun and sports show going on, so hunters should take time to get some late winter scouting in. When we are out this time of the year, no matter what outdoor activity you are pursuing, look for sign, helping you to obtain information on the wildlife using the area. From now on into February and March, a good time to look for deer sheds, you have the opportunity to scout and gain needed information on not only the deer that made it through the last season, but also gather information on other wildlife including the turkey population in the areas you plan to hunt spring gobblers. By looking for and finding sheds, you get a good idea as to which bucks made it through the season. If you come across the shed of that five by five you hunted but were unable to tag, you know that he is still around and you now have an idea as to what location he is using. I look for sheds in areas where deer yard up during the winter, one close to a food source, for instance a field that has some corn or beans left in it, a food plot or around hay bales, the areas where deer winter or yard up. If they use fields with bales, check around the bales as during this time of the year is when the deer’s rack begins to separate from the its head, when they pull hay from the bales, their racks comes in contact with the hard bale knocking the antler loose, leaving only the pedicels behind where the new antlers growth starts. Deer like any animal, are creatures of habit, and will take the easiest travel root possible especially when there is deep snow on the ground, making deer trails easy to see. Look for sheds wherever these trails cross a fence, anywhere the deer jumps a ditch or some other object the deer has to get over, chances are this is where the antler fell when they jumped and landed on the other side. Bedding areas are another excellent place to search for sheds. As they get up and down, especially if they are frightened, their rack gets a jolt or may bang against the cover they are in, causing it to fall to the ground. Winter, especially those we have in the upper Midwest is hard on all wildlife, including deer, especially bucks as they are in the worse condition of the year. 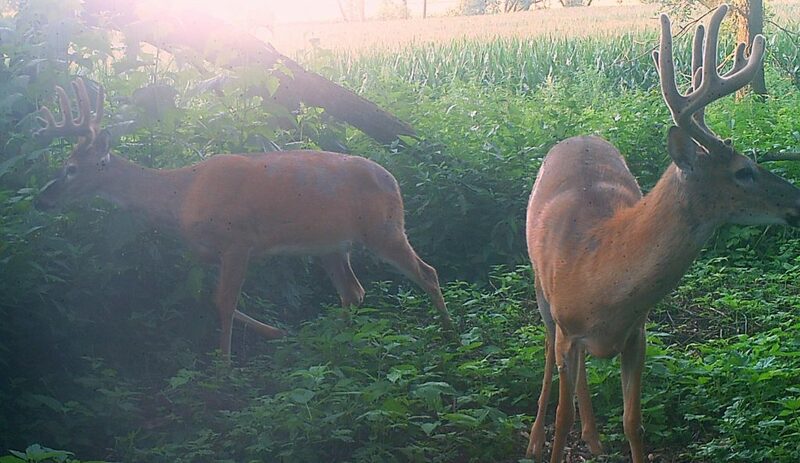 After the rut, they need to recoup from the rigors of having to fight off challengers, chasing does from one field to another, hoping to get lucky with little or no time for eating. Bedding areas in the winter is much different, as everything is open, so during the cold month’s deer need to bed down in a place of safety, where they can lie down and rest, such as CRP Fields, heavily wooded area, creek/river bottom or shelterbelts, something to protect them from the cold. Deer prefer bedding areas where they can lie facing into the wind, with something in front of them, a dead-fall, brush pile or anything that will break the wind and their silhouette, yet still allow them to scent any danger coming their way. Winter, when food sources are scarce, studies have indicated that a deer’s stomach takes on a change, allowing them to eat and digest woodier materials such as shrubs, branches and twigs. No matter what they are eating in the winter, their food source needs to be close, preferably an area where they will not have to cross open areas, where they are susceptible to predators, allowing them to eat and quickly slide back to their bedding area to chew their cud and rest. When I shed hunt, I carry a back pack with my drinks, energy bars, florescent orange paint, a small branch trimmer, knife and a few other essentials including a couple of game cameras. If I find an area that has plenty of game sign, I may mark it with florescent tape, allowing me to remember the exact location in a month or two. 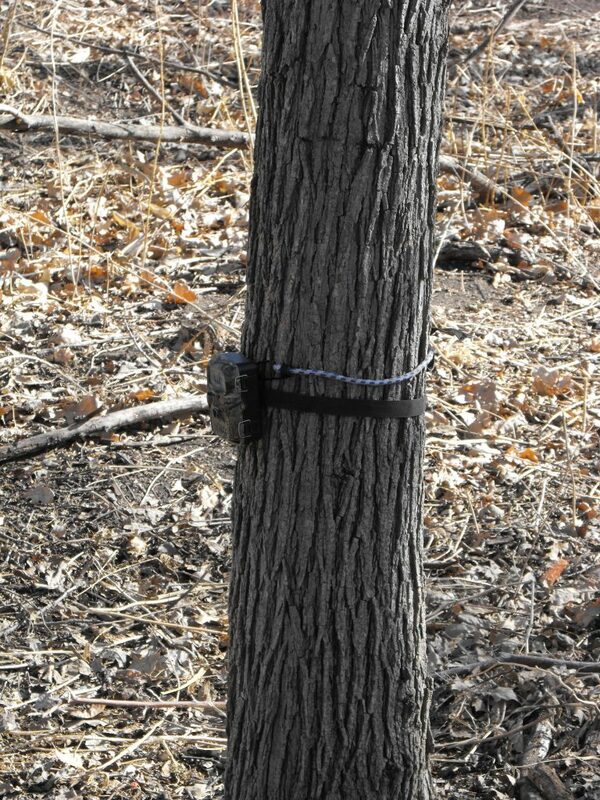 If an area has everything a person is looking for, roosts, bedding areas, good trails, old rubs and locations where it looks like wildlife is feeding heavily, I put up a camera with a large memory card. The large memory card in the camera allows it to keep an eye on the wildlife for an extended period, allowing me to make fewer visits to change the card and spooking the wildlife. I am always looking around, seeing what tracks and other sign there might be as this is the time of the year when wild critters leave a bundle off sign, providing me with much needed information for my next hunting season. Predators, coyotes especially will check out locations that deer and turkeys winter in, as the weak, old or injured are easy pickings for this larger predator. If there are coyote or fox tracks through the area, and cover for them to bed down, it could be an excellent place to try some predator calling and is one few types of hunting available during the winter. Scouting for turkeys while shed hunting is easy, as the trees they roost in are bare and if you can locate them at long distances in the winter. Their black plumage really shines on a sunny winter day, making them stand out against the snow-covered terrain. Before entering a field to hunt sheds, I like to use my binoculars from the road or a high vantage point as once you spot one, chances are the entire flock will not be far from them. Turkeys, just like deer gather in huge flocks in the winter, as there is strength in number and the extra eyes and hearing of the huge flocks can help in locating and warning the other birds of danger. They are sort of a messy bird, leaving tracks, piles of grass, leaves scattered here and there, droppings as well as a few feathers when they move about. Locating the birds, their travel route and what direction they are headed is easy because of the way they feed. They continually scratch the ground, leaves the grass and manure looking for something edible. You can tell the direction they are moving by the way that they scratched the ground in their search for food. This is especially true when there is no snow cover or the grounds frozen, with no tracks visible. Turkeys as they walk use their leg and toes to grab on to almost everything, pulling back the ground cover as they search for food, throwing the cover back in the direction they came from and when they pile up grass leaves or trash with bare ground in front, which is their direction of travel. Scouting, no matter when or where you do it, is an important part of the hunting experience, so when you go out shed hunting, walking, fishing or watching birds, keep your eyes open as you never know when Mother Nature will throw you a bone, with wildlife divulging their secrets, giving we hunters a leg up when opening day arrives. Gary Howey, Hartington, Neb. 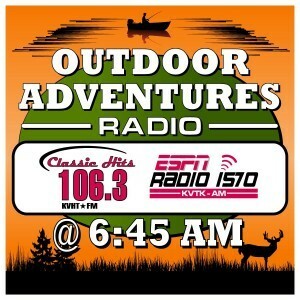 is a former tournament angler, fishing & hunting guide and inducted into the “National Freshwater Fishing Hall of Fame” He is the Producer/Co-Host of the Outdoorsmen Adventures television series and Outdoor Adventures radio. If you are looking for more outdoor information, check out garyhoweysoutdoors.com, like Gary Howey’s Facebook page and watch his Outdoorsmen Adventures shows on www.MyOutdoorTV.com.